Mighty Merchant is a certified provider of Element's Hosted Payments solution. Mighty Merchant does not store, process or transmit sensitive cardholder data, and is not considered a payment application and therefore not subject to PA-DSS or PCI-DSS (Service Provider) validation. With Hosted Payments, Mighty Merchant processes payments directly with the Element Express Processing Platform, a Level 1 PCI DSS-validated service provider. The Information We Collect: Schreiner's Iris Gardens collects from you the necessary information, such as name, email address, address and payment information, to process orders. Your Personal Information: Schreiner's Iris Gardens does, from time to time, make our mailing list available to other gardening firms. Please indicate by checking the box in the shopping cart if you would not wish to allow this. We restrict access to your orders to those employees who need to know that information to provide products or services to you. Personal information is not available to any third party via our website or through other means. We guarantee all of our plants to be true to name, registered with the American Iris Society, of top quality and size, freshly dug from our gardens, disease- and pest-free and in first class condition on delivery. If for any reason you are not completely satisfied with your order, notify us at once upon receipt of your plants. We will make things right with a replacement. In addition, if any Schreiner's Iris Gardens iris fails to survive the FIRST year, we will send replacements at no charge with next year's order if you notify us by August 1, and indicate the variety name and reason for loss. We are not responsible, however, for customer negligence, incorrect planting methods, weather, soil conditions, pest or rodent damage. Our minimum order for Iris is $30. This does not include shipping. There is no minimum order for books, catalogs, or fertilizer. We do accept returns of books, catalogs and unopened fertilizer. Please indicate the reason for the return and if you would like a credit or a refund. NOTE: Please contact us via email or phone prior to returning a shipment of Iris to obtain further instructions. Charge for Cancelled Orders: We understand sometimes circumstances arise which dictate a change in plans. As such, you may need to cancel an order. Please know that a non-refundable handling fee of $5.00 + Credit Card Interchange fees will be charged for any cancelled order. The interchange fee is a 3% charge that credit card companies charge merchants for processing payments against your credit card. Thank you for your understanding and your cooperation. To our foreign customers and friends: Shipping Iris and catalogs outside the USA involves additional costs for air transport and customs administration. Therefore, due to the complexities of export orders, shipping charges on this web page are valid for USA orders only. For additional information on the extra costs for shipping overseas, please contact Alison in our office via email at alison@schreinersgardens.com. Occasionally we run out of stock of a variety you may have ordered. If you will accept substitutes of equal or greater value, please specify this in the "Substitutions" area of the shopping cart. Schreiner's Iris Gardens (SIG) may provide links to other websites or resources. Because we have no control over such websites and resources, you acknowledge and agree that SIG is not responsible for the availability of such external websites and resources, and does not endorse and is not responsible or liable for any content, advertising, products or other materials on or available from such websites or resources. You further acknowledge and agree that we will not be liable, directly or indirectly, for any damage or loss caused or alleged to be caused by or in connection with the use or reliance on any such content, goods or services available on or through any such website or resource. Yes, we offer our Iris at wholesale prices to licensed businesses. Our list of wholesale prices is available in mid-June. To be eligible for wholesale prices, please forward us your business's registration or certification numbers via iris@schreinersgardens.com. Please put "Wholesale Inquiry" in the subject line. 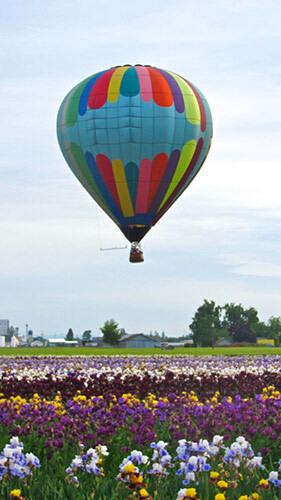 You may also fax to Wholesale Pricing Inquiry at 503-393-5590, or mail us your information to Schreiner's Iris Gardens, Wholesale Pricing Inquiry, 3625 Quinaby Road NE, Salem OR 97303.